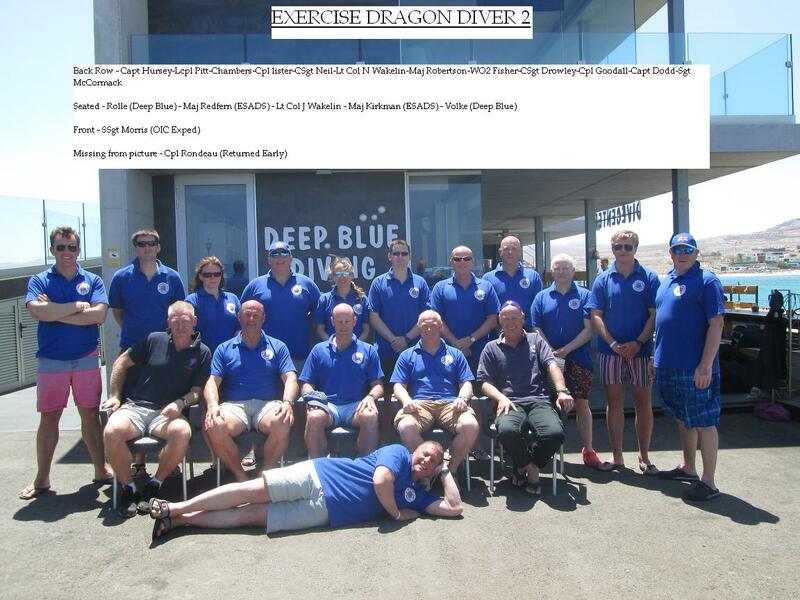 MTMC (Mission Training and Mobilisation Centre) based in Nottingham and Lydd, took part in their annual diving expedition from 08 to 22 May 2015 on Exercise Dragon Diver 2. This was an expedition to two of the Canary Islands, Fuerteventura and Tenerife. Planning for the expedition started in Oct 2014, novice divers were trained to the BSAC (British Sub Aqua Club) first qualification Ocean Diver. The Ocean Diver training was completed at the inland quarry, Capernwray. The decision was made to complete the first qualification in the UK to ensure all personnel taking part in Exercise Dragon Diver 2 had achieved a basic level of diving. The reason behind the decision to conduct the training before the expedition was simply to maximise the diving abroad, it also mitigated any medical issues (especially with regards to ears). The expedition aimed to build on each soldier’s own personal diving skills, take their diving qualification to the next stage and to take part in a local Marine Conservation Project. The expedition members came from a variety of back grounds and had a variety of experience. We integrated Regular and Reservists from a number of different regiments including the RIFLES, LANCS, Parachute Regiment, RLC, RAMC and the Royal Engineers. To ensure we were able to deploy in good order one of the most significant challenges was the various administrative checks. The administrative process included diving medicals, a passport check, BSAC membership and personal insurance to name just a few. The expedition started on 08 May, the first dive was very much a shake out allowing everyone the chance to test and adjust equipment. The first few dives also gave both our Joint Service Sub-Aqua Diving Supervisors (Major Steve Kirkman and Major Martyn Redfearn) the opportunity to watch each diver and make an assessment of their ability. 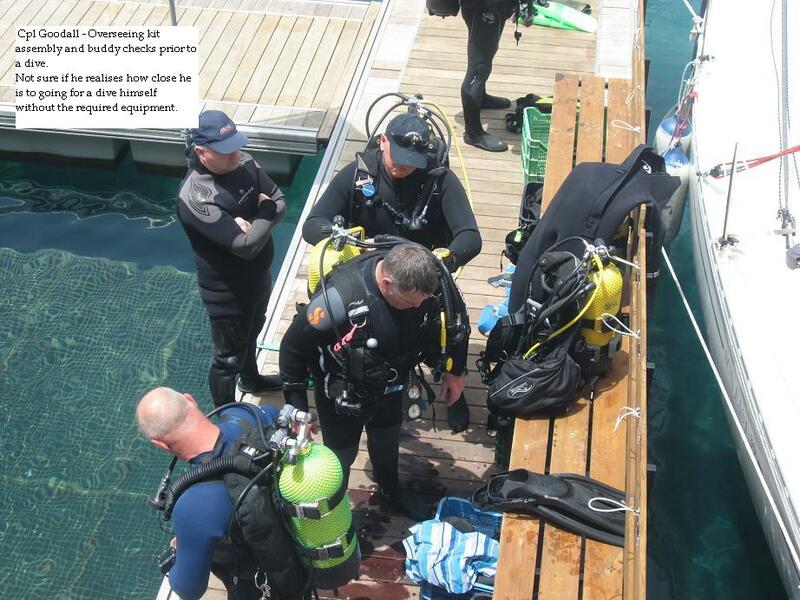 Once a detailed assessment had been made both supervisors were better placed to plan each dive. The priority was with qualifying the Sports Divers. As a Sports Diver the qualification enables diving to a maximum depth of 35 metres and allows planned decompression dives. 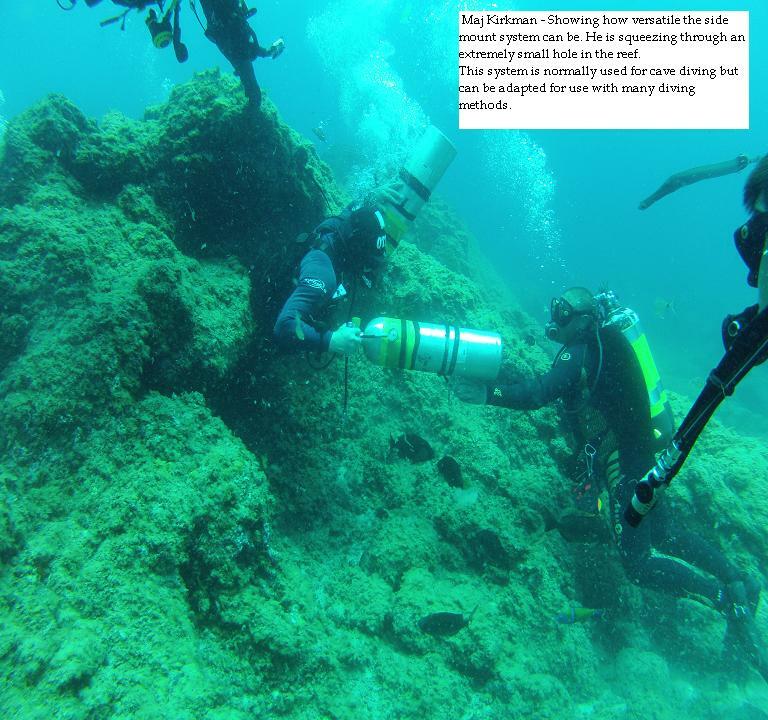 Decompression dives are more technical and involve a planned stop at certain points during the ascent in order to release the excess gases. The consequences of getting a decompression dive wrong are more serious and can greatly increase the chances of the diver suffering decompression sickness. We successfully qualified seven Ocean Divers to Sports Divers, two Sports Divers to Dive Leaders and two Dive Leaders gained further modules towards their Advanced Diver. For us the expedition was more than simply gaining qualifications. Every dive was meticulously scrutinised by the ESADS and Instructors to ensure each divers position and awareness in the water was perfect. It was drilled into the students from the beginning that the marine eco system is extremely fragile and would be affected by poor fining and bad buoyancy. Some coral in particular can take 100 years to grow, if a diver accidentally causes damage it could die and consequently have a dire effect on the marine ecosystem. As the expedition progressed we began to contribute towards the reef conservation project alongside Deep Blue Dive Centre. The divers were set small yet significant tasks of recording the detail about the various marine species and coral growth living amongst the various reefs we were diving. The information gathered will be used to help determine the state of the reef, hopefully this will drive any action which might be required to change local fishing and diving habits. Expeditions like Ex Dragon Diver 2 are becoming increasingly more difficult to get off the ground. Without the very generous contributions from our sponsors, such as the Ulysses Trust, many soldiers would not be able to afford to participate and would simply miss out. Every single member of Exercise Dragon Diver 2 would like to pass on their gratitude to the Ulysses Trust and their Board of Trustees for their very generous support. Cpl Goodall overseeing kit assembly and buddy checks. 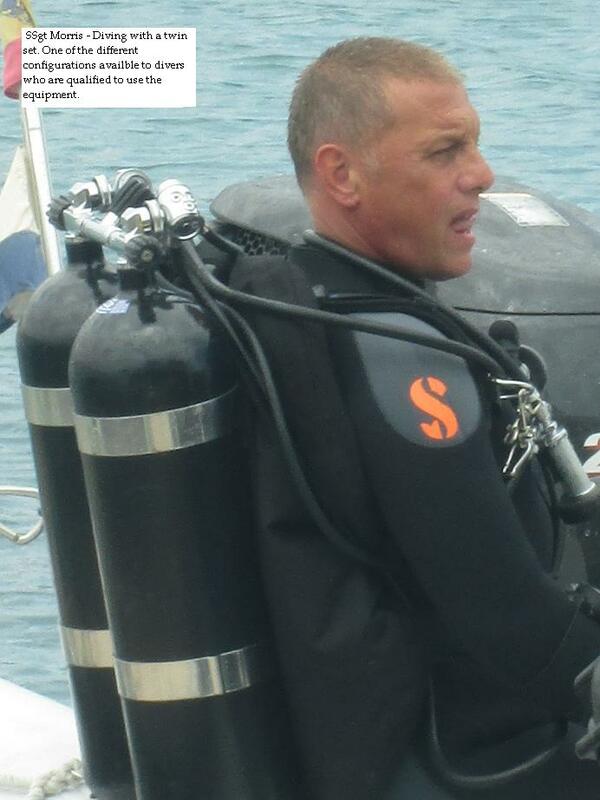 SSgt Morris diving with a twin set. Major Kirkman using a side mount system. 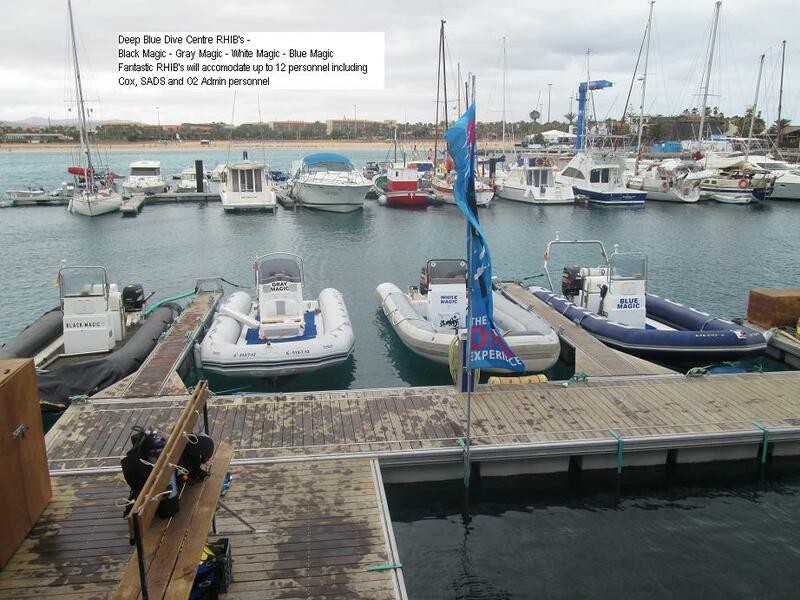 Deep Blue Dive Centre’s RHIBs.